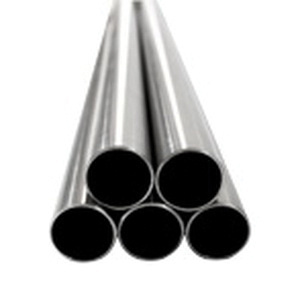 Calpipe 10-ft Long EMT conduit of trade size 1-Inch, features type-304 stainless steel construction for durability. It offers simplified installations for reducing installation costs. It has inside diameter of 1.05-inches and outside diameter of 1.163-inches. It is perfect to use in various industries such as food/beverage production/distribution, chemical plants, water/wastewater treatment, pharmaceuticals/cosmetics, refining/extraction sites, petrochemical, pulp/paper mills, marine/coastal facilities as well as other corrosive environments. EMT conduit is UL/cUL listed and ANSI/NFPA/NEC certified.